Slice the onions: Start 2 or 3 cups of water on to boil in a kettle or on the stovetop. Once boiling, add the sliced onion to the water for 1-2 minutes. Add the remaining ingredients to a glass jar. Stir and dissolve the honey and salt. 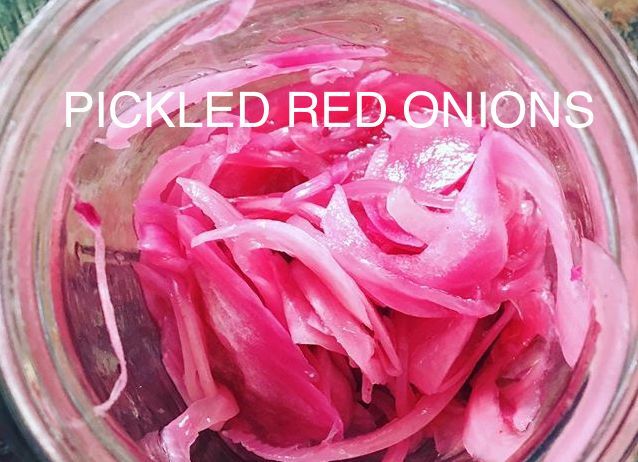 Take the partially blanched onions and add them to the jar. Stir or gently shake. After 30 minutes remove the bay leaf. Onions will be ready in 30 minutes and will last several weeks in the fridge!